Worm gears resemble screws. 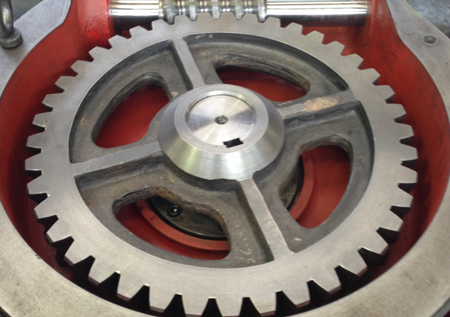 A worm gear is usually meshed with an ordinary looking, disk-shaped gear, which is called the gear wheel, or worm wheel. 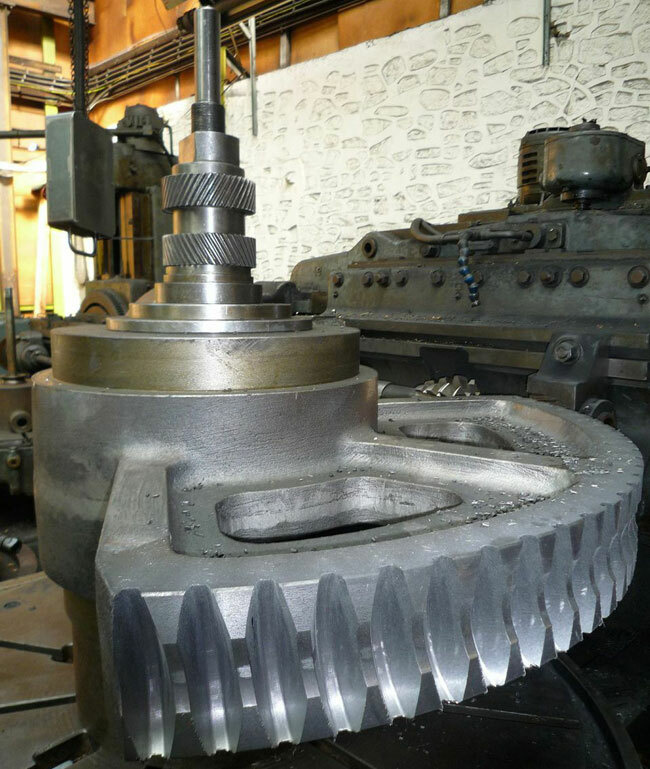 A one-toothed worm gear is called single start a worm gear with more than one tooth is called multi start. 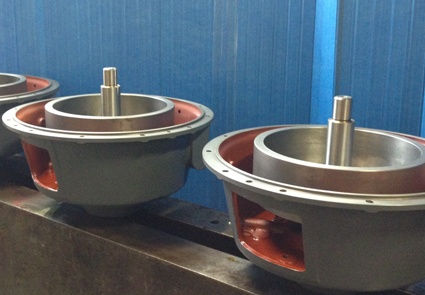 At SBT we specialise in the manufacture of worm and wheel gear sets, be it manufacturing complete from damaged samples to manufacturing from OEM drawings. 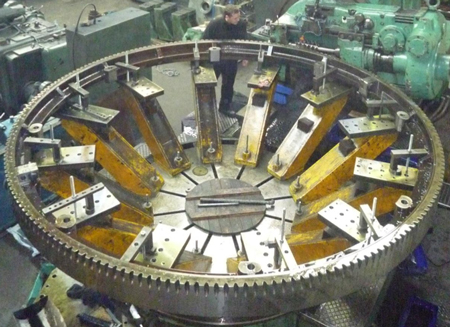 we pride ourselves on being able to reverse engineer even the most unrecognisable samples with our extensive knowledge and machine capabilities coupled together with over 100years combined skilled work force we can manufacture up to 32 inch running centres, and worm shafts with 17 starts.